Kids at one of the camps called camp Trillium. Photo provided by Sharon Andres. 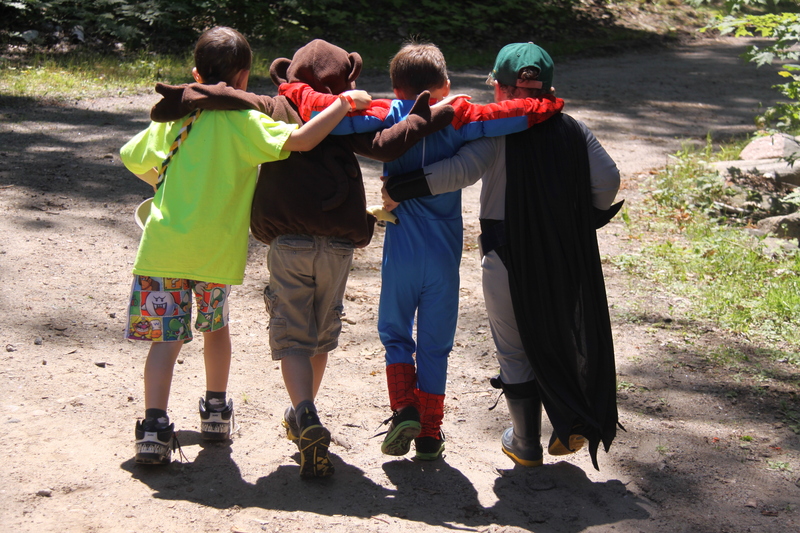 Since camp is free for all in need, Tour for Kids funding means children with cancer and their families can take a break from their stresses while enjoying a camp experience just like other kids. 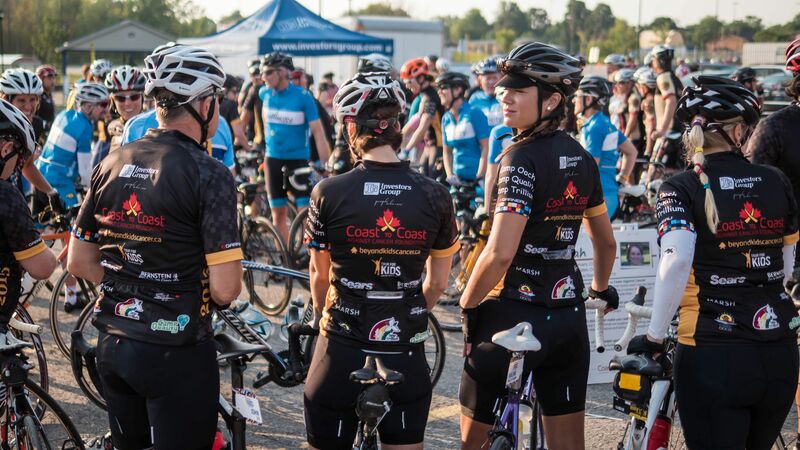 Funding for these camp experiences for children with cancer come through bike tours where cyclists in order to participate are required to raise their own support. It is a big commitment. The Tour for Kids donation model is super unique. One part paid by the rider is registration fees to cover their cost of the tour. The 2nd part is the minimum fundraising required, and 100% of this goes towards the cancer camps. Campers at Camp Ooch! Photo provided by Sharon Andres. Each year there are rides in Alberta, Atlantic Canada, and here in Ontario. In Ontario riders can choose routes that vary in distance and the time involved. It could be 1 day or for a full 3 days with distances up to 200k a day. The departure each morning and return later in the day is at the Georgian College summer suites. Riders gathering before their morning send off on their various routes. Photo provided by Sharon Andres. Along the routes there are rest stops/aid stations, and for the 3rd time in 4 years the tour has come right through my home village of Hillsdale. And in each of these 3 visits it has been an honour to have the church grounds where I am lay pastor used in a very small way to be used as one of the locations of one of the rest stops. 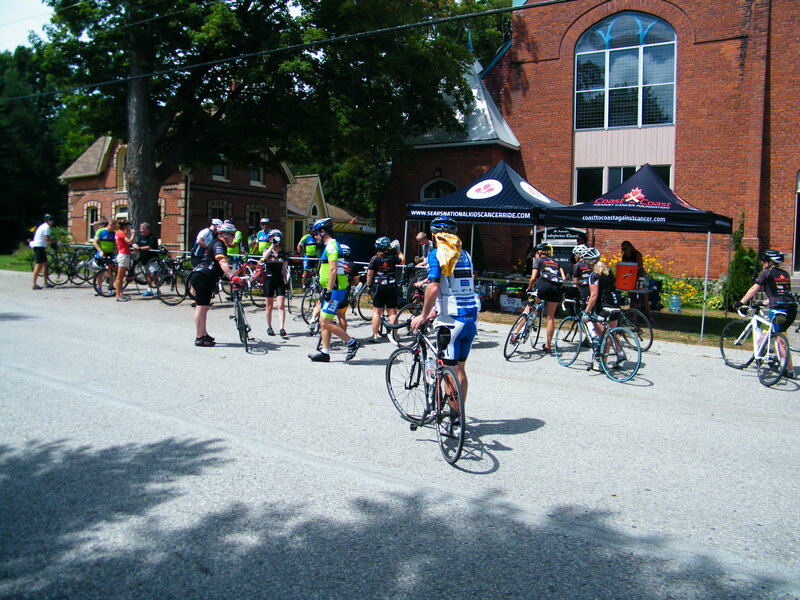 This year the Tour for Kids had 350 riders of which 275 would have ridden through Hillsdale. A few of the 275 riders that came through Hillsdale. The tour provides everything at these rest stops: food and refreshments, 1st aid, portable washroom facilities and even their own volunteers. I don’t even have to be there myself, but love spending some time there because of the so many inspirations I get from these riders. When a lot of riders arrive at the same time these aid stations can get very busy. I find them very similar to the stations at the ultramarathons I run. During quieter moments I was able to chat with these friendly volunteers who were working at different locations all 3 days. 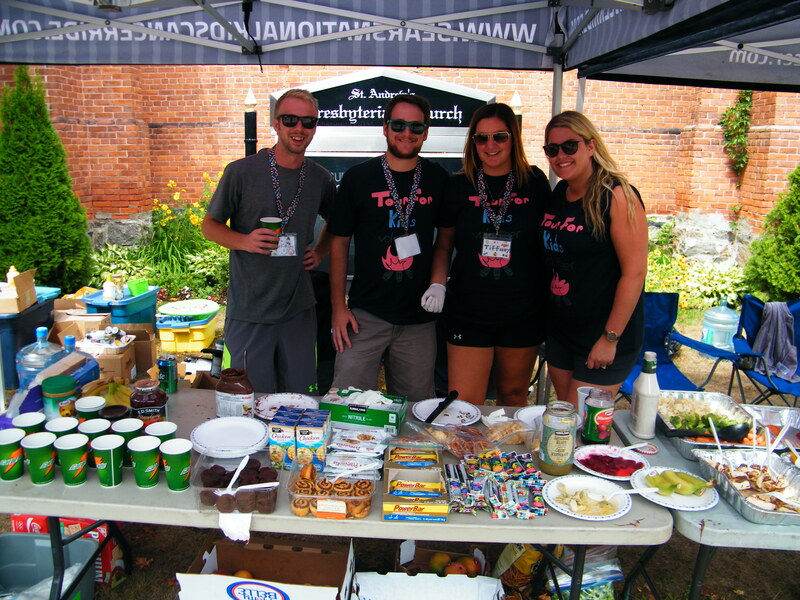 Great volunteers like these four really make these events special. Whether is a flat tire or a mechanical problem…no worries. The tour has their own mechanic on wheels to get you back on the road in no time! 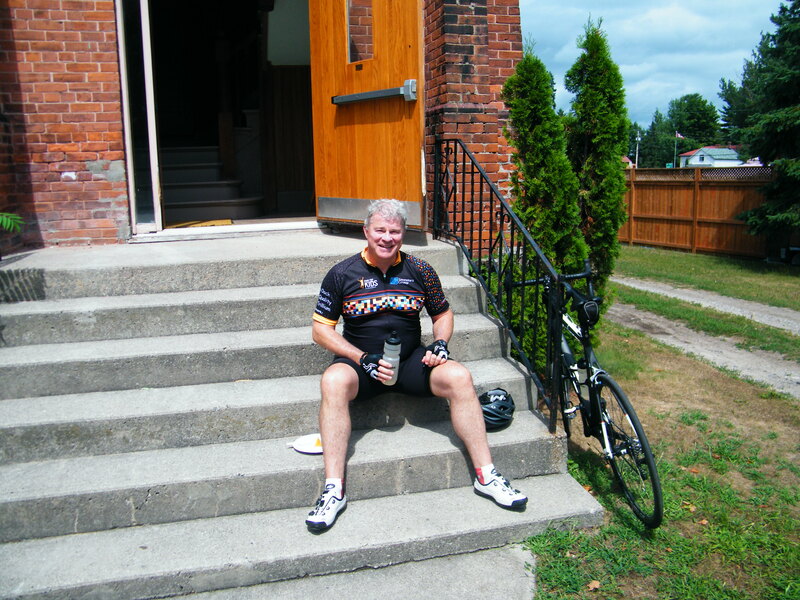 Cyclists come from throughout Ontario, but some come further and some even from overseas. One gentleman named John came from Ireland. 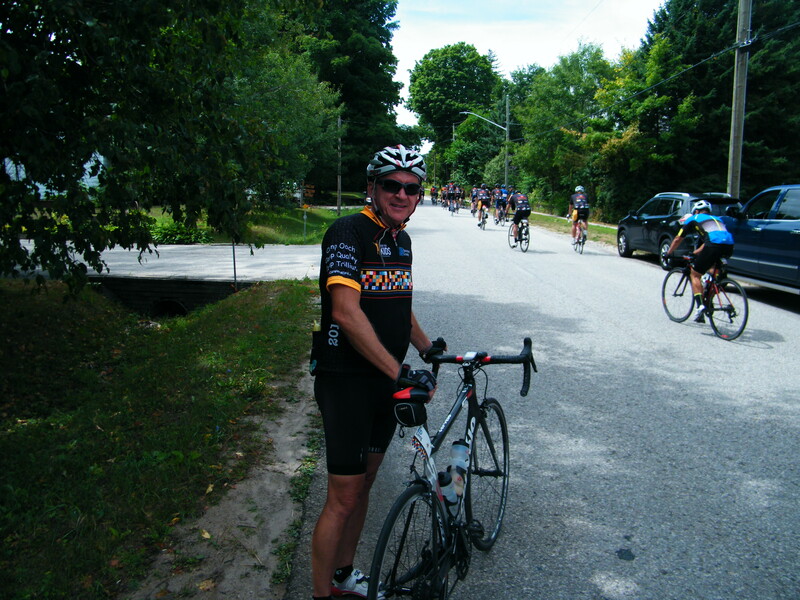 He read about it and decided to ride the tour as part of a Canadian vacation. Had a wonderful chat with this kind man named John who came all the way from Ireland for the Tour for Kids. For many of these riders there is a story behind why they are doing this. They may know a child who is fighting cancer or has lost the battle to cancer. From the Tour for Kids website it mentions that there are 10,000 children living with cancer in Canada. Definitely a story behind this banner. Photo provided by Sharon Andres. A few of the riders arriving at the aid station in Hillsdale. After a quick refreshment it was back on the road. Quickly took this gentleman’s picture before his friends who started out ahead of him got too far ahead. Much like my ultra races the riders came quickly into the aid station and then back out again. They were on a mission, and I definitely did not want to hold them back. To undertake either 100k, 160k or 200k a day for up to 3 days over very hilly countryside is a huge commitment. It takes a lot of training, and with hot muggy conditions that weekend, it would have taken much endurance, stamina and mental grit. I have so much admiration and respect for them. Am looking forward to the next time our church grounds will be used for the Tour for Kids. 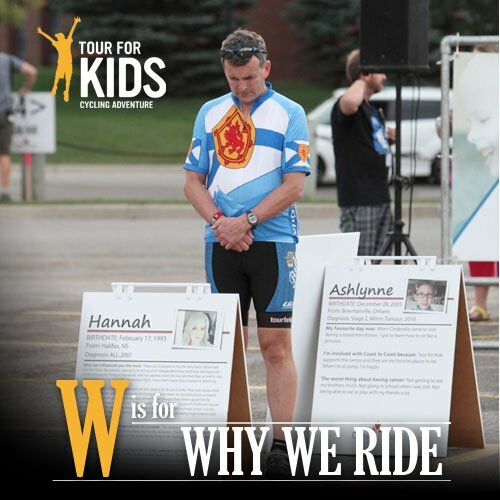 For more information on the Tour for Kids please visit their website tourforkids. Tour for Kids Facebook feed. Tour for Kids Twitter feed. I love it when people come together and do things for causes like this. Thanks for sharing such a positive thing, which of course, you always do. Thank you so much April for stopping by to read and share, and you are very welcome. It really is a great cause. The 1st time I actually heard of Tour for Kids was only 4 years ago which was the 1st time they used the church property for an aid station stop! What a fabulous cause. With so much wrong in this world these events give us all hope. Well said Sue. These events really do give us all hope. Thank you so much for stopping by Prajakta.. I loved meeting these people. Unfortunately was never able to talk for long. It was really cool talking to the gentleman from Ireland. A lot of riders were part of a team or were riding with others they knew, but he was just riding on his own and going at his own pace. What a great cause. I love that it raises funds for the kid’s camp. I felt emotional just reading this as everyone has had their lives touched by cancer in one form or another, it’s even worse when it’s a child though. Have a great rest of the week Angie! What a wonderful cause, Carl! And very inspiring! Thanks for sharing and for participating! Thank you Terri. This event was extremely inspiring. Even though it was in a very small way, it was an honour to have a small part in this. It is like a win-win situation Natalie. Helping kids with cancer have a camp experience, and experience a tremendous bike tour at the same time. Thank you for stopping by and sharing. I always enjoy my visits to your blog Carl, especially after some time away. Sounds like a great cause you participated in and a wonderful time too doing the ride. Thanks for sharing as always. 🙂 Hope all is well in your corner of the world. Always love having you stop[p by Tricia. You always leave such kind words. Those 4 kids in the photo are my favourite. The camp would be such a gift and a release from all the treatments and all that goes with having cancer. 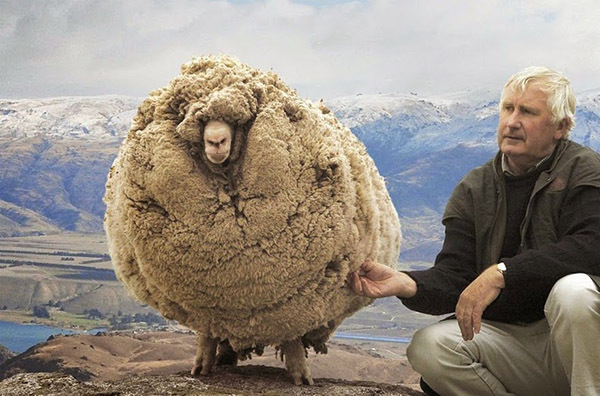 Hello I’m Rober owner of http://cyclistchallenge.com/. Glad to hear that you’ve followed my twitter. I see you have a lot of great articles and I love it so much. If you need more article please let me know, I will do guest post for you :). Thank you so much! I would be honoured. You do an amazing work on your own website and it would be great to have you share some of your expertise on a cycling post. I will be overseas in December and am not too sure how much access I will have to the internet. Probably it would work out best for me early in the new year. This is awesome! This is awesome. My hat! Thank You.